If you need to avoid gluten due to an intolerance, you may have run across spelt flour while looking into wheat alternatives. Unfortunately, spelt flour does contain gluten and is unsafe for anyone with Celiac disease or a gluten sensitivity to eat. Spelt is frequently called "the ancient wheat". 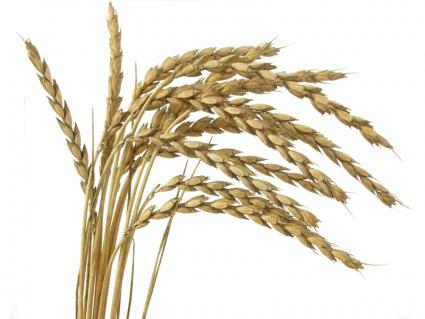 It is a species of wheat that is closely related to the common type used in most flours today. It was used primarily as a grain and flour during the Bronze age through the Middle Ages, when the current species of wheat was first cultivated for use. Is Ezekiel Bread Gluten Free? Spelt is actually a subspecies of the common wheat grown today. Bakers and food manufacturers sometimes use it for its slightly nutty flavor and higher nutritional content. Spelt is frequently sold as a wheat alternative, despite the fact that it is not gluten-free. This can be misleading to those searching for gluten-free wheat alternatives. Spelt is occasionally labeled for sale as "wheat-free" and sold to those who have wheat allergies, although spelt is nearly identical to wheat and can cause reactions in those who have any wheat sensitivity or allergy. If you are avoiding gluten, also avoid any products labeled "wheat-free" that contain spelt as an ingredient. Stick to those flours and foods that are certified as gluten-free to stay safe.